Click On The Green / Red Numbered Circles To See Feature Details. Green Numbered Circles Indicate Exclusive Features Not Found Anywhere Else. 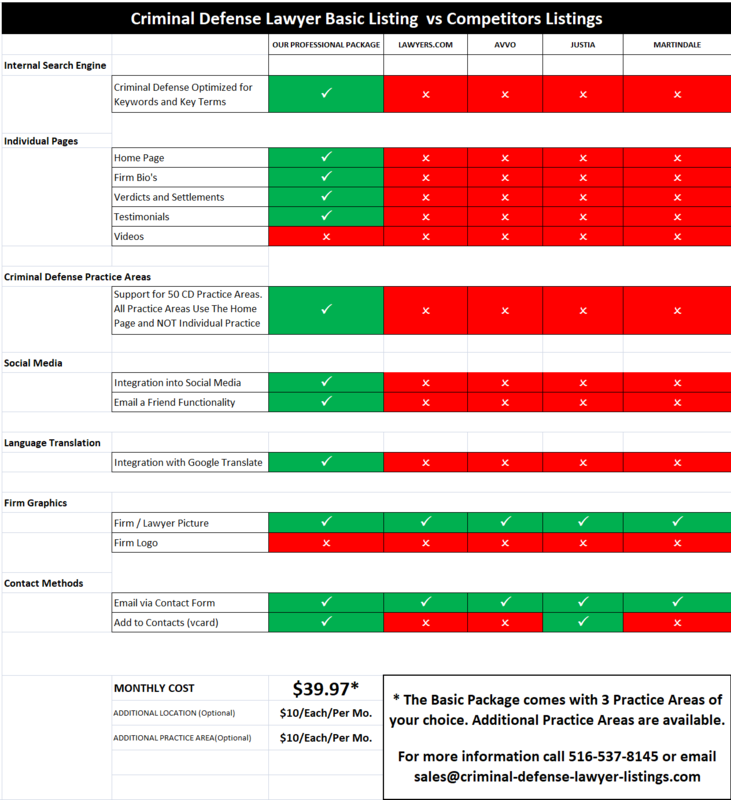 That Was a Typical Page For a SINGLE PRACTICE AREA, In This Case The DWI Practice Area. Each Practice Area Comes With Content That We Write For You. 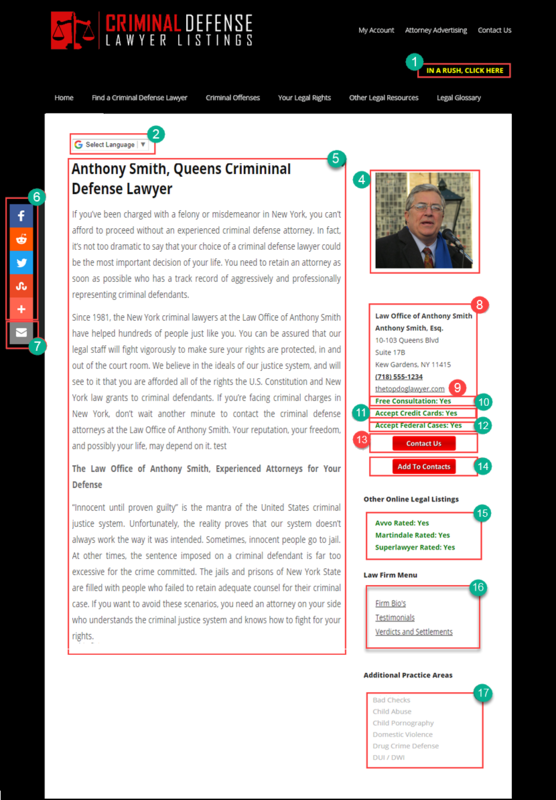 Compare Our Features With Those From Lawyers.com, Avvo, Justia and Others. For More Information, Please Call Sales at 516-537-8145.